As the main function of a salt water chlorinator is convert salt from the pool water into chlorine, there is no need to purchase chlorine in any form (liquid, granular, tablet or otherwise). All that is needed is for the salt or minerals to be added to the pool water, set the running times of the pool equipment and enjoy the pool! So breathing in hazardous chlorine fumes and storing hazardous chlorine drums can be a thing of the past! This is particularly appealing when there are young children around. The chlorine that is produced by the salt water chlorinator is produced over a period of several hours, so it is more evenly dispersed in the water, which is more gentle on the eyes and skin of bathers. The salt water is also therapeutic, particularly for asthma and bronchitis sufferers. 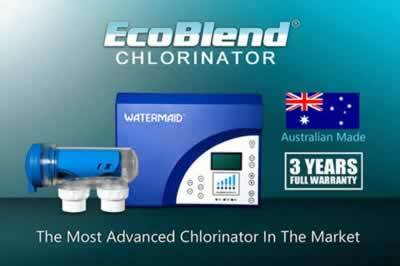 Whilst the initial purchase of a salt water chlorinator may seem expensive, in the long run it is far more cost effective than manually sanitising the pool with chlorine chemicals. Salt only requires topping up once or twice a year and is relatively inexpensive when compared to the cost of chlorine chemicals. And whilst ionisers claim to sanitise the pool on their own, this is not true - a chlorine residual is still required! 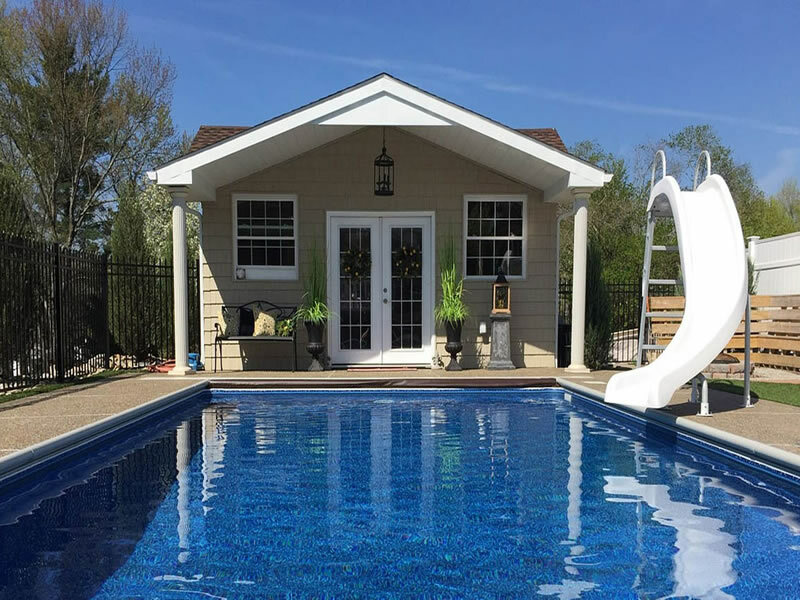 When you combine a well performing filter, a salt water chlorinator, and the latest in self-cleaning chlorinator technology, there is mimimal effort involved in maintaining a clean clear sparkling pool! ii) the chlorine level, pH and salinity are checked on a regular basis to ensure the water is safe to swim in. Remember: chlorine is more effective when the pH is maintained within the recommended range (7.2 and 7.8). As the chlorine is dispersed over several hours, it does not have the tendency to discolour hair or swimwear.